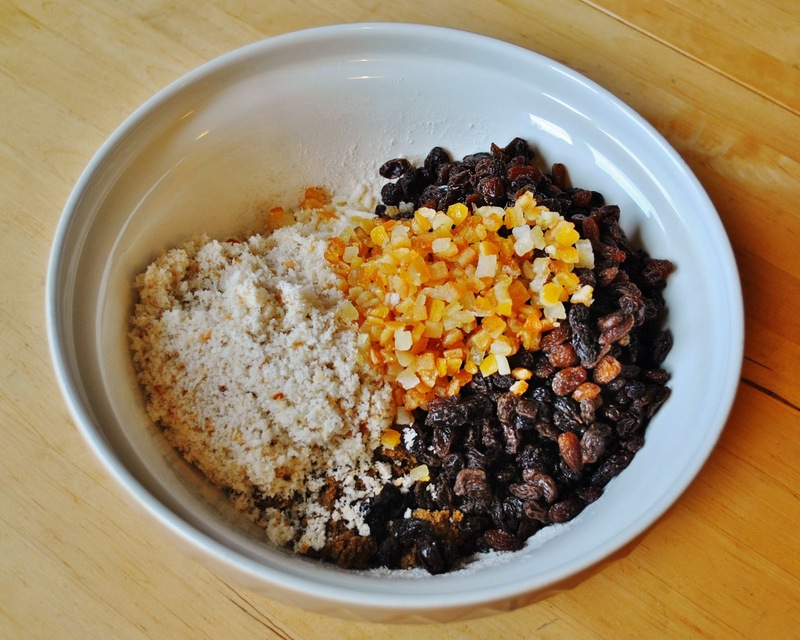 I was channeling Jamie Oliver last weekend; and I don't know about you, but I didn't even realize that there was such a thing as Stir-up Sunday -- the day you mix your Christmas pudding. I'm a little late; traditionally, it's done the last Sunday before Advent. But better late than never. I'm a big fan of the Christmas pudding. I found a great (healthier??) version many years ago -- it has grated carrot and potatoes inside. My Ex and I loved it; but like most things containing candied peel and raisins/currants, my kids were pretty "nhaw" about it -- they'd eat it, but it wasn't a favorite. So, I haven't made one for a few years. But my international daughters are so avid for anything Christmas, that they were very excited about the prospect of a Christmas pudding -- something neither of them has had before. And I was fortunate enough to find a lovely pudding mold at a consignment shop on Saturday. I wasn't sure if it would be stick proof; but it was pretty. Sunday involved a lot of measuring and mixing and stirring (and tasting) on the girls part. But we stirred up that pudding, popped it into the very well buttered mold, and steamed it for about 2 hours. It emerged glorious! 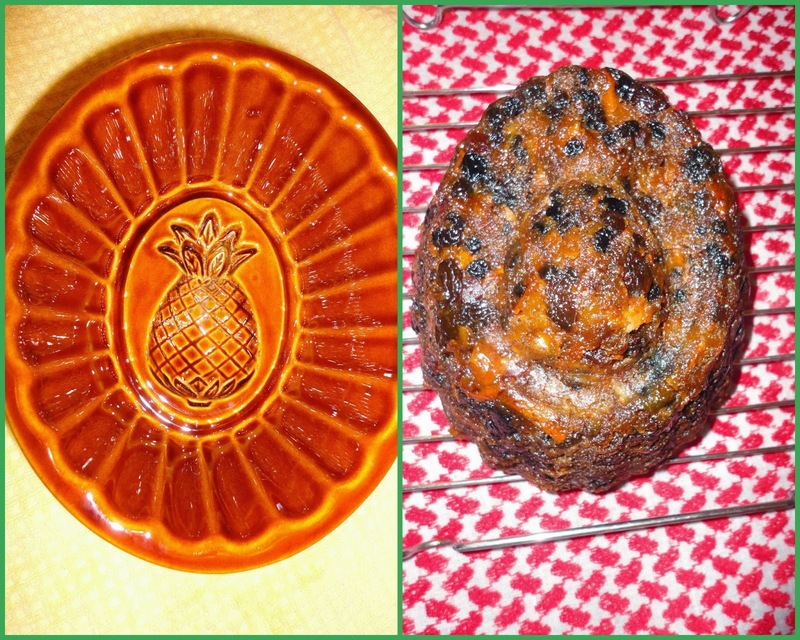 The pineapple relief on the pudding came out well (although you can't really see it in the photo). And it was so fragrant! Yum! However, it's safely tucked away until its big appearance after Christmas dinner when it'll be served with a butterscotch-like sauce. Do you (still) make Christmas puddings? 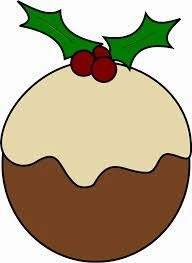 That Christmas pudding looks wonderful. I'd be grateful if you'd share the recipe. I'd like to try it out on my family. I've never made one. I had heard of Sir -up Sunday. With the beginning of Advent the Lord stirs up our hearts in preparation for Christmas. Okay MA; I'll post the pudding recipe later tonight along with the sauce. 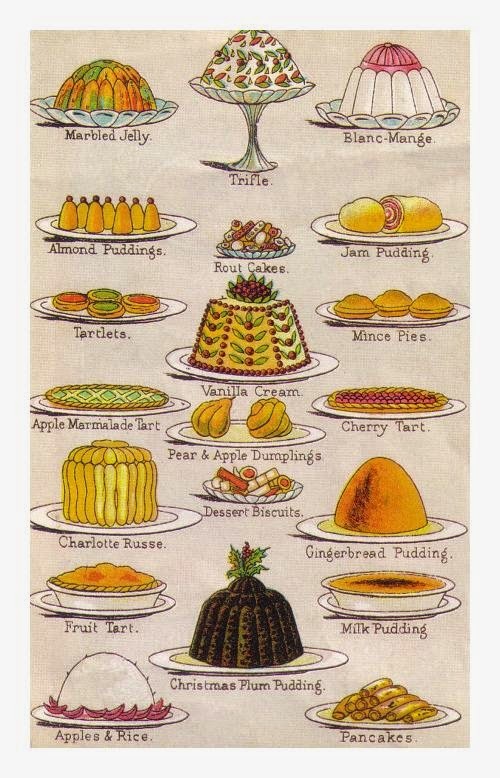 I have to say in all honesty I have never made a Christmas pudding, my grandmother did. But after seeing the success of yours, maybe I need to dive in and make one??? The Jolly Season has Begun!